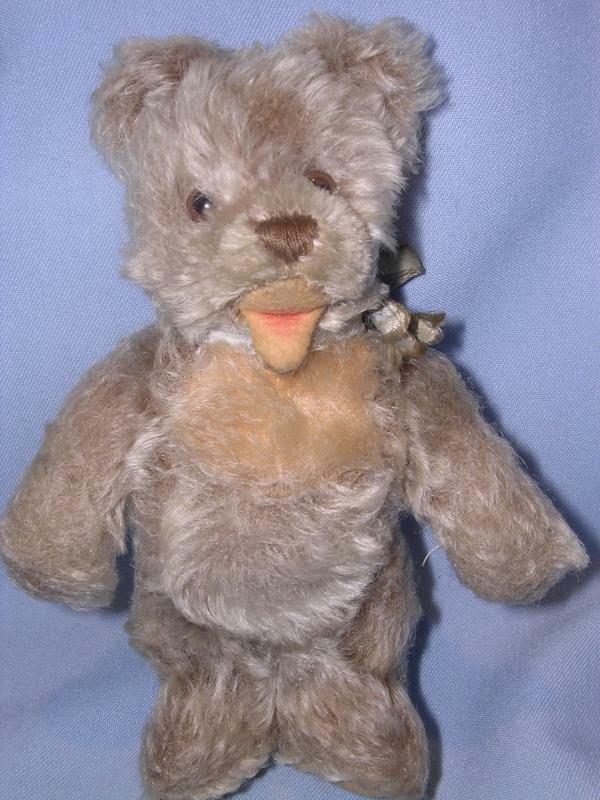 Vintage and rare German Steiff ZOTTY Bear. Measures just 7 inches long. Has felt open mouth, floss stitched nose and glass eyes. 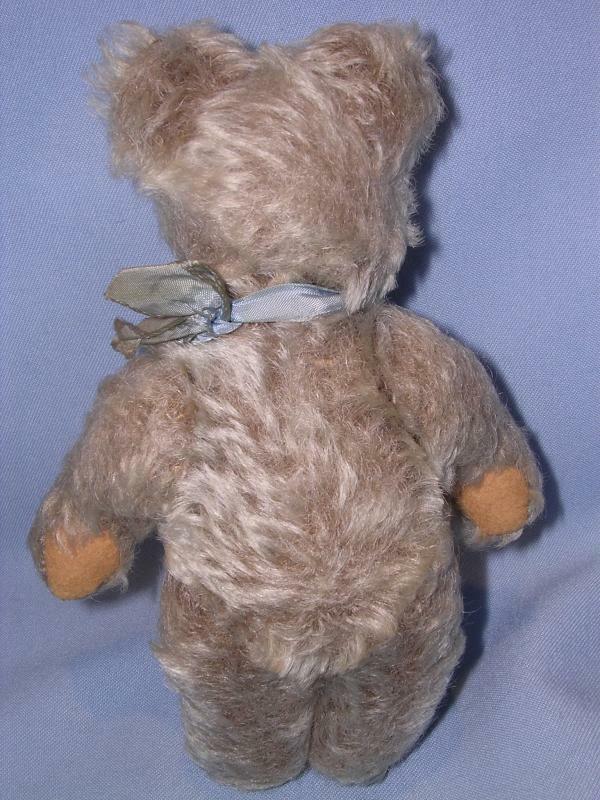 Done in Tan and pink frosted mohair with jointed arms and legs. Has pink felt pads on feet and arms. Has the original blue ribbon tie. There is a mark in the ear where the button was at one time. No button or tag. He is adorable and good condition. 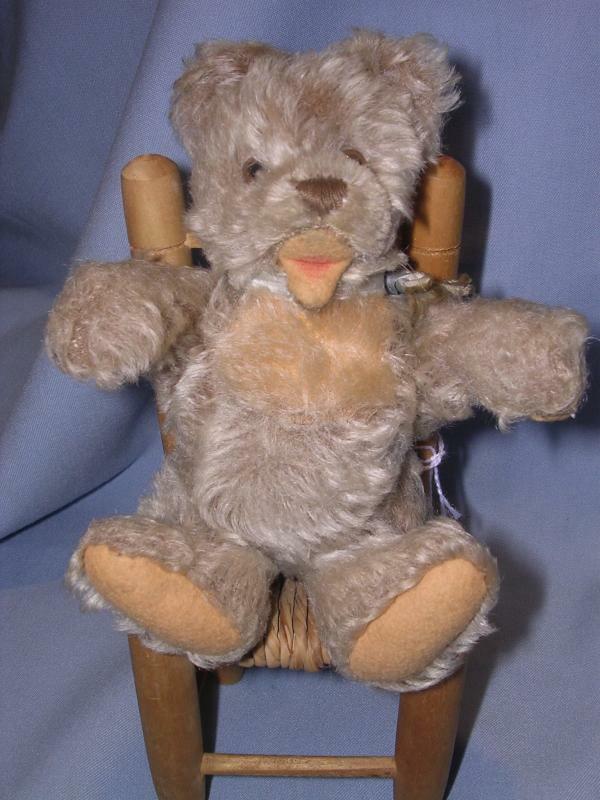 See our other listings to include additional vintage Steiff toys. 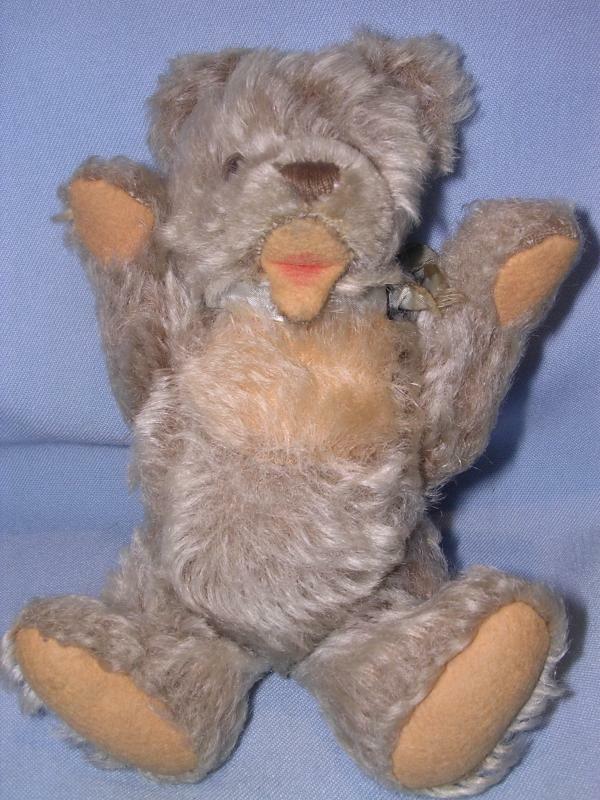 Items Similar To "VINTAGE STEIFF ZOTTY BEAR 7 INCH "